Preschool at Ravenswood is a fun and exciting experience for students. Our preschool programs are play-based. We understand children learn best through play, and know that children who begin learning through play will have a lifelong love of learning. Children learn and practice play skills in all areas of the classroom. Embedded in our classroom routines, toys, games, and activities is a wealth of learning opportunities helping children build foundations in literacy, math, science, social studies, music, and art. Our preschoolers also start to develop their social and emotional skills, so that when they begin kindergarten, they have the self-confidence and ability to learn and work with others. You’ll find more information on our preschool programs below. Please scroll down, or click on a link, to learn more. Please feel free to email your student’s teacher directly to discuss any questions or concerns. Ms. Lazar has been working at Ravenswood School since 2007. She was introduced to this amazing community through DePaul University, where she earned her Bachelor of Science in early childhood education. DePaul connected Ms. Lazar to Ravenswood as a student teacher. That experience led to several other positions including Pre-K teacher and kindergarten teacher. She is privileged to have found her second home at Ravenswood! Bio & picture coming soon! Ms. Williams has been working at Ravenswood since 2012! She was born and raised in Istanbul, Turkey, and she has been living in Chicago for more than 15 years. She received her bachelor’s in education from DePaul, and she is currently getting her counseling degree at Adler Professional School of Psychology. She believes that education should empower a child and help him or her make a positive contribution to our world. Our play curriculum happens both inside and outside. We play on both school playgrounds every day. We dig, plant, and watch growth in the school gardens throughout the year. We go for walks around the school and the neighborhood to learn about the community around us. We also go on field trips around the Chicago area, visiting museums, musical and theatrical events, and community institutions. 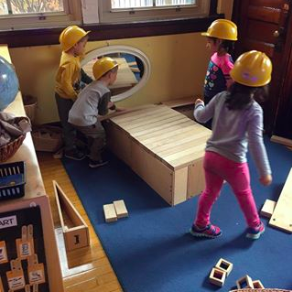 Our Pre-K classrooms are organized for different types of learning and play. At various times in each of our pre-K classrooms, you’ll find a Writing Center, Technology table, Library, Listening Center, Manipulative Center (sorting, counting, games, puzzles), Art Center, Science/Discovery Center (sand, water, science table), Block/Woodworking Center, and a Dramatic Play/Dress Up Center. 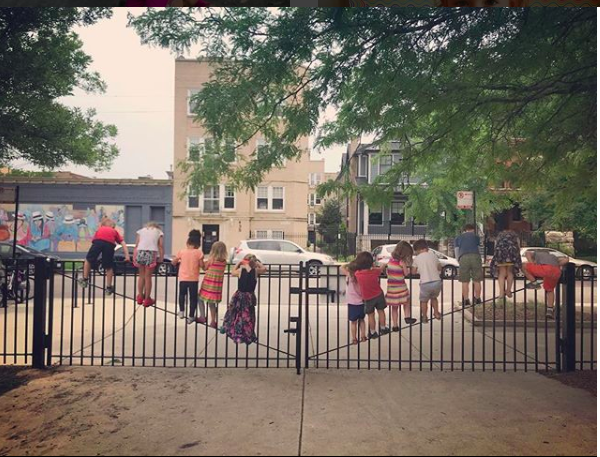 Our Pre-K programs foster a deep sense of appreciation and acceptance. We celebrate diversity, for it is what makes each one of us special. Our program serves children of all races, ethnicities, abilities, religions, and family styles. We value and love all children! We use a Balanced Literacy framework for teaching language and literacy. The specific curriculum that we use is Creative Curriculum. Literacy instruction includes read-alouds, individual reading time, daily journaling, shared writing experiences, and more. We also use Handwriting Without Tears, which is an approach to early writing instruction that uses songs, games, and hands-on experiences to give preschoolers exposure to reading and writing. Our math curriculum is Everyday Mathematics for Pre-K, which is a research-based curriculum developed by the University of Chicago School Mathematics Project. It is a sequential math curriculum, which means instruction is sequenced so that it builds upon and extends the students’ knowledge and skills of the previous year. Math instruction includes whole group and small group read-alouds, math games, songs, fingerplays, and math talk woven through all subject areas. Our social-emotional curriculum is based on Positive Discipline, which is a philosophy of human development based on the theories of social support and mutual respect by Alfred Adler and Rudolf Dreikurs. Using this philosophy, our program focuses on helping children develop skills of self-regulation, positive relationships, and problem-solving through class meetings and classroom problem-solving. Each of our lessons is based on a project-oriented approach. Students learn the basics of how to tackle a project or problem, including consensus-building, planning, materials collection, building, and wrap-up. Based on the students’ interests, the teaching team devises learning opportunities to support and challenge students’ current knowledge base. 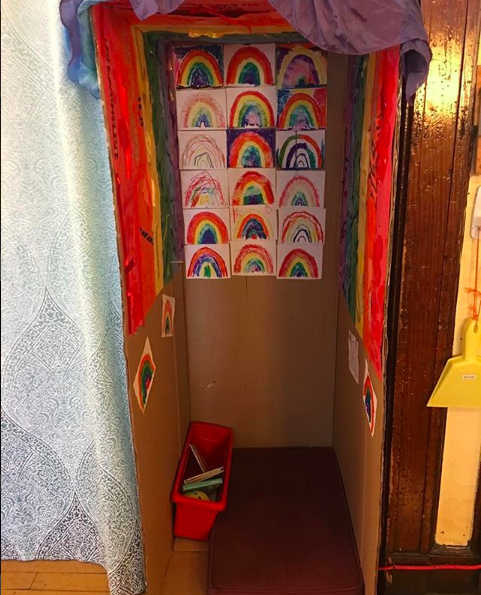 Recent projects in our classrooms have included building a Grocery Store, hosting a Baker, creating a Flower Shop, and learning about Toilets! Every day is a new learning experience in PreK. Even though we follow a regular schedule, we’re always discovering and exploring new things! 8:45 - 9:00am - Arrival and breakfast (007) or yoga (008) - this time is used to settle students into class and start the day calmly and peacefully. 9:00 - 9:15am - Gathering time and morning meeting. Students are encouraged to share any news or feelings they have with the class. 9:45 - 10:45am - Essentials Classes - we rotate every day between Art, Drama, Dance, and PE. 10:45 - 11:45am - Morning meeting continues, and playtime is introduced, for the first 10 minutes. We spend 45-50 minutes in play. 11:45 - 12:00pm - Reading, news time, a guessing game, or rhyming time. 12:00 - 12:45 - Lunch time. Students may bring a lunch from home or choose a school lunch. Our preK students each lunch in their classrooms. 1:15 - 1:30pm - Transition and nap prep. 1:30 - 3:00pm - Nap or quiet time. We encourage all of our students to relax and enjoy a peaceful rest period. 3:10 - 3:30 - Small Group time - we discuss the day or do an activity in small groups. 3:30 - 3:45pm - Closing circle - we end our class day with a discussion of the day and what we learned. 4:15 - 4:45pm - For students staying after school hours, we enjoy a class project together. These include cooking, art, group games, or sensory projects. Preschool students do not receive standard letter grades. Instead, our students are encourage to show progress on each aspect of our core curriculum (literacy, mathematics), participate in essentials classes, and show progress on social-emotional skills (asking for help, concentration, expressing feelings, recognizing the feelings of others, cooperating with others, and resolving conflicts constructively). Our teachers will discuss progress to these goals at each parent-teacher conference or as needed for each student. We welcome all parents, guardians and family of preschool students to join our classroom community! You can join us in a variety of ways. Our teachers send out a monthly newsletter. Please send them your email address to get the latest news and updates. If you’re on Facebook, please join our Room 007 or our Room 008 pages. You’ll find playdate and party invites, discussions, and questions posted here. Please note that these are closed Facebook groups, so conversations are private, and we will ask you to confirm your student’s name. We always need help getting organized, and always need volunteers for recess. Please note that, per CPS policy, you do need to be a registered volunteer. You can also send a note to our room parents for more great ways to get involved. We take 3 or 4 field trips a school year in preschool. Field trips usually begin a few months after school starts, to let our students become familiar with the classroom environment and each other before we explore new places. We’ll send home permission slip forms and share information on each field trip a few weeks beforehand. We ask for parent chaperones each trip. Students are usually in groups of 2-3 per chaperone. Your financial support of our classrooms is very much appreciated! We may occasionally ask parents for additional supplies. You can see our current request list outside of the classroom, on our giving tree! We wish our school supplies lasted all year. Since they don’t, we’ve made wish lists of materials that we really need to replace. If you can, please support our students with these additional purchases. 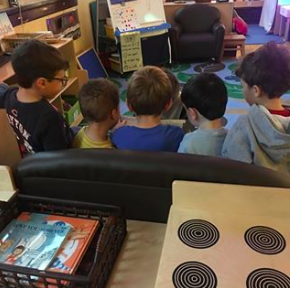 For larger classroom purchases, or for capital supplies like bookcases or seating, we request grants and funding from Donors Choose. Your support of our projects helps our students and may be tax deductible. Parenting always has its ups and downs! Please reach out and let us know how we can help. Parenting a preschool student is not easy! Students are still learning about everything from behaviors to body functions. We’re here to help! Our school counselor provides counseling, free of charge, to all Ravenswood students. Families are encouraged to reach out at any time. If you have any questions or concerns about your student’s schoolwork, classroom behavior, social & emotional skills, or academic performance, please feel free to contact your teachers. We’re happy to help!